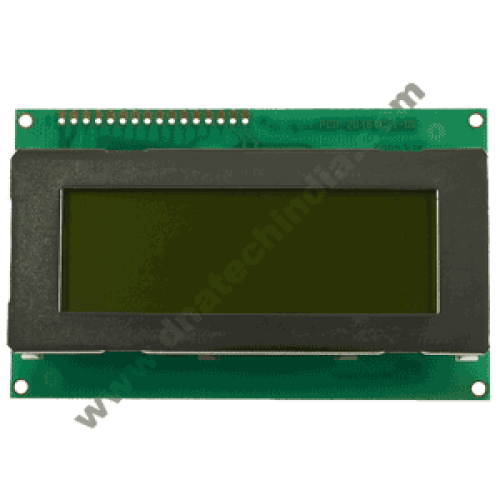 Buy ALPHANUMERIC 16x4 LCD Online at LOW COST in India on www.dnatechindia.com. Delivery all over India. The HD44780U dot-matrix liquid crystal display controller and driver LSI displays alphanumeric characters and symbols. It can be configured to drive a dot-matrix liquid crystal display under the control of a 4 or 8 bit microprocessor. Since all the functions such as display RAM, character generator, and liquid crystal driver, required for driving a dot-matrix liquid crystal display are internally provided on one chip, a minimal system can be interfaced with this controller/driver. 5 x 8 and 5 x 10 dot matrix possible. Low power operation support: 2.7 to 5.5V. 16 Pin Relimate JST Straight ConnectorRelimate connector are one of the most widely used connectors ..